Let’s imagine that you have acquired a new warehouse that you have optimized according to the movement and nature of your items. You also have a locator system and a warehouse management system in place for tracking all your inventory. Now that the warehouse is fully integrated with your business, you can start managing the large number of purchase requests you get from your customers on a daily basis. However, you soon realize that the greater the influx of customer orders is, the greater the chances of possible delays in order fulfillment. If you want to see your business successfully grow, you’ll need to figure out how to deal with the increasing number of orders without any setbacks–in essence, you’ll need to get a handle on the basics of order management. Although there are other factors that contribute to a successful sale, inconsistencies in order management can really interfere with a business’s profitability–especially when those inconsistencies happen more often than not. By streamlining your order management system, you’ll not only make your lives easier, you’ll also ensure that your customers receive their items on time, every time. In this article, we’ll be focusing on the following key components of order management to make it more efficient. We all want to sell the hottest products on the market. You might already be the largest supplier of the coolest items, with your warehouses well-stocked and outfitted, ready to take on the whims of the market. One fine day, however, the market shifts unpredictably like the weather, and now your customers demands items of a different sort, perhaps even from new competitors in the market. Though people still buy your products, the demand seems to be dropping while more current items are gaining ground. You can buy more of the items that are currently in demand, but what will you do with the existing ones– especially when you don’t know if this shift is short-lived or if is it the dawn of a new market trend? Have no fear! All you’ll need to do is implement an inventory control mechanism for your warehouse. The goal here is to have enough stock without holding surplus quantities of your popular items, so that you can make room for other items according to changes in the market. In order to gain more control over your inventory, you can start by assigning a reorder level for all your items. This will not only act as a safe level at which you can order and wait for items to arrive while you carry on with sales; it will also allow you to direct your cash flow better by focusing on items that need to be reordered, rather than on the items that will just sit there eating up space and capital. Next, you’ll want to figure out the best order quantity for each of your items in your warehouse. Retailers often debate on how much to order at a time. Buying in large quantities, such as for a wholesale purchase, may make the cost of the items themselves cheaper since they’re being bought in bulk, but this also increases shipment and holding costs. In contrast, purchasing items in smaller quantities translates to a higher item cost but lower shipment and holding costs. This is precisely why you should determine the economic order quantity by working out the cost of ordering, holding, and handling. Additionally, having an annual inventory budget plan and knowing how many units of a particular item you sold during the previous year can also serve as a guideline while planning your purchases. Another approach to inventory control would be using the Just In Time delivery method for purchases, where suitable quantities of items or components are delivered to your warehouse right before they are needed for manufacturing products, according to an agreed schedule or your manufacturing capacity (if you are a manufacturer of goods). And if by chance, you still find a lot of slow moving or dormant items on your warehouse even after implementing the above methods, then try to find the best way to move them out, either through promotions and bundle offers, or by holding a clearance sale, so that you can clear space for more profitable items. A typical day inside a warehouse begins with the consolidation of orders and tasks for drafting work strategies for the day’s shifts. Orders are prioritized based on item availability, shipping method preferences, and the volume of cargo. The items are then prepared and shipped accordingly. The moment a package goes out of the warehouse, it is now left to the courier service to deliver them to the customer. Now, what happens if something goes wrong? What happens if the package does not reach the customer before the deadline? Let’s imagine, for example, that a truck carrying a bunch of same-day delivery packages fails to make these deliveries due to an accident. Damages and losses aside, you may lose those customers or deals if you are unable to track your packages, assess the situation, and inform your customers of the delay before everything spirals out of control. One way to manage such a case and prevent customer fallout is by utilizing the services of a popular shipping carrier that is trusted by sellers and buyers alike. Furthermore, some of these carriers also offer APIs (Application program interface) that can be used to integrate their services to your WMS (Warehouse Management System), allowing you to generate shipment orders and labels as soon as your packages are ready so you can track them easily. If you are wondering how you can find the ideal shipping carrier for your business, then online seller forums might be a good place to start looking.On top of having good reputations and offering transparency via real-time package tracking, these carriers also provide the option of insuring the product to cover any losses that may occur. In the case of back orders or drop shipments, delays can happen due to your vendors or suppliers trying to combat similar shipping uncertainties (similar to the ones mentioned above that you might face) while delivering the items to you or your customers. In such cases, enabling electronic Advanced Shipping Notifications (ASN) from your vendors to your distribution centers will help you to reach out to customers long before they cancel their orders, giving you ample time to prepare and ship appropriate replacements. Bottom line, knowing the status of your packages at all times will not only help you tackle shipping uncertainties and promote customer loyalty; it will also help you plan the amount of stock that you need to keep in reserve inside your warehouse. This approach will also come in handy when we talk about handling product returns. We often come across customers who return products to the seller. Their motivation to do so can range from something as serious as a faulty product or incorrect shipment, to something as fickle as a change of heart. No matter what the reasons are, these situations don’t bode well for the seller; product returns can put a damper on an otherwise awesome shopping experience because of the time it takes to replace the products. And they also eat up your revenue. Additionally, having to deal with sad, angry, or troubled customers on a regular basis can bring down the morale of your workforce considerably. Speaking of returns, we have yet another problem on hand: what do we do with the items that are being returned to your warehouse? Do you have a standard protocol in place for handling returns? Or is this left to your workers’ imagination? The first and most basic step to improve your situation would be to have a standard procedure for handling returned items. As soon as you receive the items back from your customers, make it easier to identify the condition of the returned items. This can be done by attaching product tags to them based on the physical state of each item. After doing so, sort them according to these tags so that the sellable items can instantly be added back to inventory, while faulty items can either be taken for repairs, returned to the manufacturer, or in the worst case, written off and discarded. Regardless of the industry, it is also a good practice to reserve a portion of stock within the warehouse to act as replacements, samples, and buffers. Some warehouse managers go as far as storing these reserved items in separate zones, in order to process returns more efficiently while minimizing their impact on the regular flow of goods. Now that you have a way to deal with items that are returned to your warehouse, make the process easier for both the customer and yourself by drafting a solid returns policy. It should include all the terms and conditions which permit a customer to return an item back to you, the instructions on how to make the return, and a reasonable time frame during which the item can be returned back to you (e.g. two weeks from the date of delivery). After drafting your return policy, make it visible to your customers by posting it in as many places as possible: on your wall, on your website, in your promotional emails, and even on the back side of your orders. On top of showing the world your eye for detail, the return policy will boost your credibility, put troubled customers at ease, and give your work force the most efficient steps possible to deal with such cases. While you are at it, look for patterns in the types of returns being made. You never know, if your customers return because of being confused by a few unclear images on your web store, or if there is a technical issue that needs to be addressed by the item’s manufacturer. 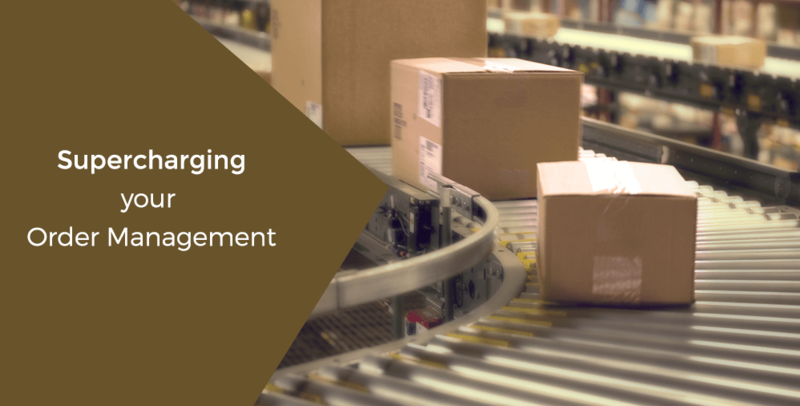 By following the above methods, you can control your inventory, handle returns, and manage shipments and back orders to supercharge your warehouse order management process. Be sure to keep an eye out for the next article, where we will be looking at how you can keep your warehouse at its best.